One might think that a Palace with such a name is found in Peru. Nothing is further from reality because it is only 6 kilometers away from Granada, in the small village of Víznar. It was commissioned by Archbishop Manuel Moscoso y Peralta. He was born in Peru but he became Archbishop of Granada. He was a rich man but he suffered a severe depression in his life when his wife and his son died. By avatars of fate, he came to the ecclesiastical world, and became Archbishop of the city of Granada. The Palace of Viznar began its construction in the year 1795, although not many years later, its patron, D. Manuel Moscoso died in 1811. The Palace of Víznar or better known as Cuzco Palace is a construction attached to the Parish Church of Víznar. Traditionally, it has been known as the summer resort of many of the Archbishops of Granada. In its origin it was a modest house until Archbishop Moscoso transformed it into a rich palace, endowed with a well and orchards. The building stands, large, imposing, abandoned. Covered by autumn leaves, its wooden shutters are broken, many of the mural paintings on its walls are lost. In some of them you can glimpse mythological scenes. The most curious thing, some of them show scenes of Don Quixote. The enormous garden, still shows in its state of neglect, its great Italian influence. After the garden, the 2,500 meters of palace, with its three floors, barely retains some of its primitive decorative elements. Among the magnolias, cypresses and plane trees of shade, some fountains appear, already very timid, of which we can only imagine the peaceful sound of the water, since they are in total state of abandonment. A garden that in its times of splendor housed a collection of more than 20 sculptures scattered among all the roses and trees. 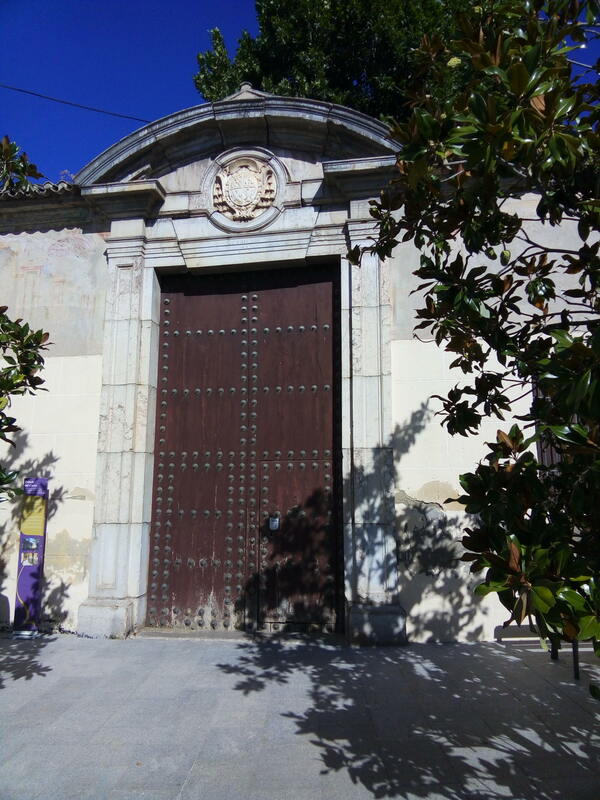 With the avatars of time will come the confiscation of Mendizabal and from 1835 the property will pass into private hands. Today, it continues in private hands, and has been offered for the construction of a luxury hotel. If the sale were made for this purpose, it would recover part of the lost splendor. Although perhaps it should be acquired by the State and recover the shine of yesteryear, and be what it was, a Palace worthy of Archbishops.